Heat some oil in a pan and add jeera and wait until it starts to splutter.Add the chopped onions and green chilies and saute for few minutes. Now add the chopped turnip and the peas, saute until it is half cooked. Add the chilli powder,salt,jeera powder,dhania powder and garam masala,saute for few minutes. Now add the chopped tomatoes and wait until it becomes mushy. 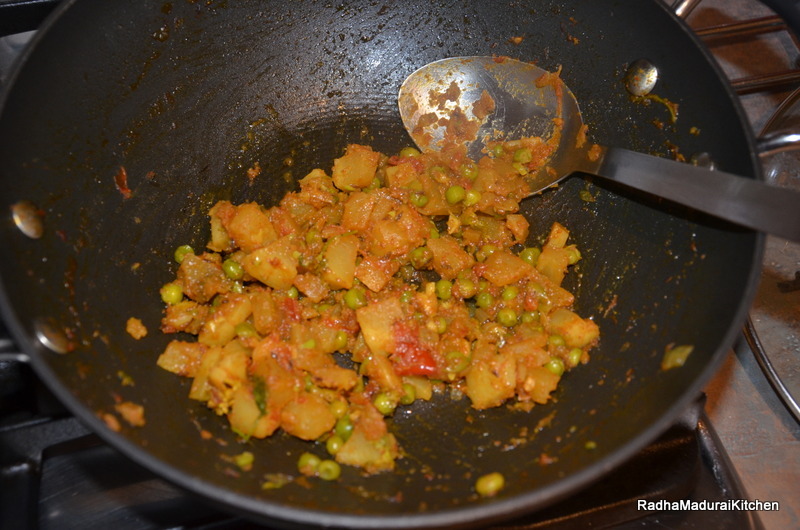 Cook until the turnip is soft.The turnip peas masala is ready to be served. Remove the curry leaves from the stem and discard the stem. Heat a portion of oil in a pan,add the red chillies,Asafoetida and roast for nearly 3 minutes. Now add the curry leaves to the pan and saute for 2 minutes. Grind the roasted ingredients into a fine paste in a mixer. Heat the rest of the oil in a pan and add 1 tbsp of mustard seeds and wait until it starts to splutter. Soak the tamarind in warm water and extract the juice and discard the pulp. Add the tamarind water to the pan and wait until it starts to boil. Now add the curry leaves paste to the tamarind water and cook until the oil starts to separate. When you see a thick paste forming, switch off the stove. Dry roast the fenugreek and the rest of the mustard seeds in a pan,switch off the stove when the fenugreek becomes slightly brown. Grind this into a fine powder and add this powder to the curry paste and mix well. This powder is mainly added for more shelf-life. Channa dal – 4 tbsp. 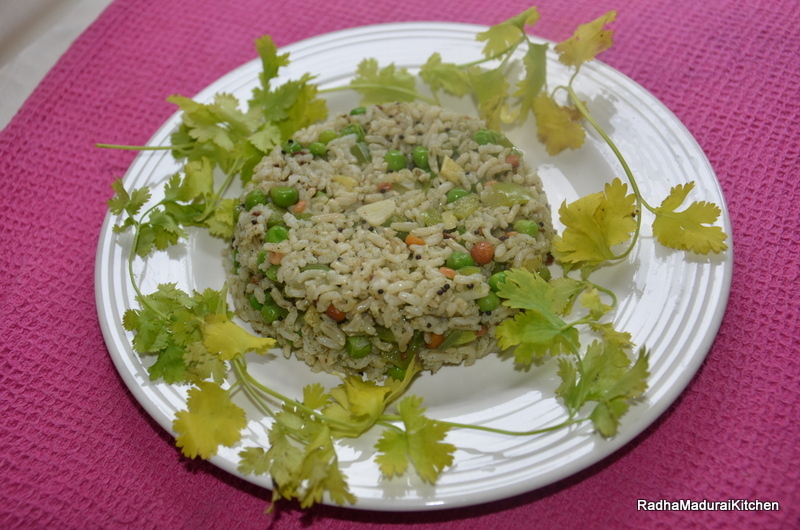 Urad dal – 4 tbsp. Black pepper – 1 tbsp. Tamarind – 1 lime size. Dry roast all the above ingredients and make it into a coarse powder and store it in an air tight container.This powder can be mixed with rice along with cold pressed sesame oil and serve it hot with papad. Murungai tree is known for many health benefits.Most parts of the tree are edible.The leaves are the most nutritious part of the plant, being a significant source of B vitamins, vitamin C, provitamin A as beta-carotene, vitamin K, manganese, and protein, among other essential nutrients.Its definitely beneficial to add this into your diet. Wash the leaves thoroughly and dry it in a cotton cloth (do not dry it in direct sun).Dry roast the ingredients in a pan. Switch off the stove and add the Murungai leaves. Mix them well till the moisture goes away. Now grind the roasted ingredients in a mixer and store in an air tight container. This podi can be mixed with rice and served. Tomato rice is one of the most common rice dishes.It is very simple to prepare this delicious rice variety.It is one of my favorite too.Lets see how to make this dish. Mustard seeds – 1 tsp. Dry roast the groundnuts and keep them aside. Heat some oil in a pan and add mustard seeds and wait until it starts to splutter. Add some jeera and saute for few minutes,now add the chopped onions and green chilies. Add the chilli powder,salt,jeera powder and dhania powder and saute for few minutes. The paste for tomato rice is ready.Now cook the 2 cups of rice in 4 1/2 cups of water and keep it ready to be mixed with the tomato paste. Now add the tomato paste to the rice and mix well and add the roasted groundnuts. 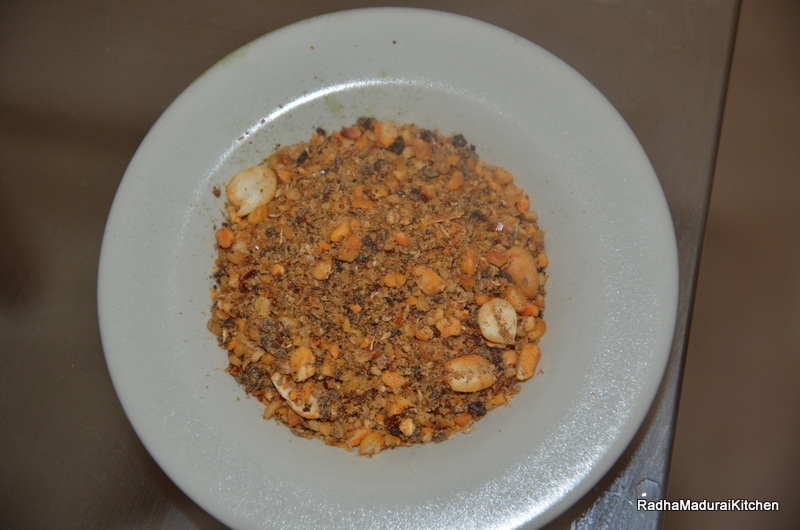 The groundnuts give a nice crunchy effect to the dish. This tomato rice can be served with onion raita. Kashayam powder is a herbal medicine for common cold and cough.This powder can be mixed with hot water and palm sugar(Panakalkandu) and had to cure throat infections and body pain. coriander seeds – 1 tbsp. Adathodai (Justicia adatoda) powder – 1 tsp. Holy basil(Tulasi) – 1 tsp. Tuduvalai powder(Solanum trilobatum) – 1 tsp. Dry all the ingredients in sun for few hours and roast them lightly and grind it into fine powder.Store the powder in an air tight container.Add one tea-spoon to water and boil it to make a thick concoction. 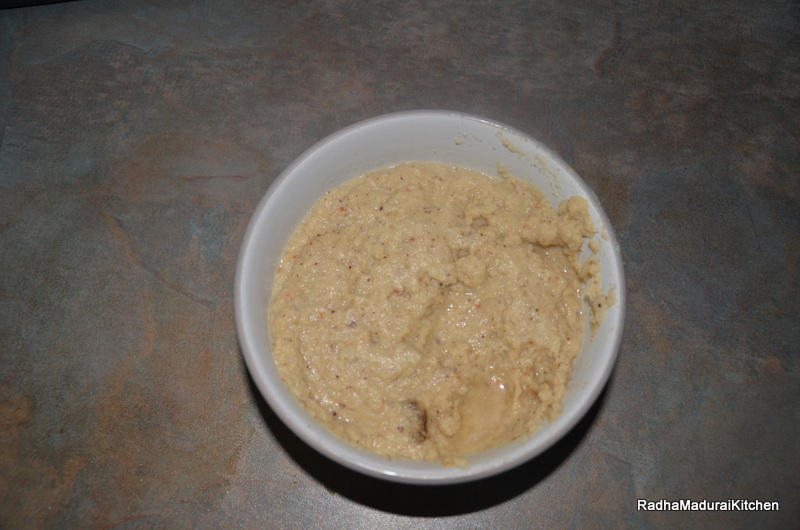 Urad dal – 1/4 cup. urad dal – 1 tsp. channa dal – 1 tsp. Wash and soak Urad dal, fenugreek seeds and Rice for one hour. 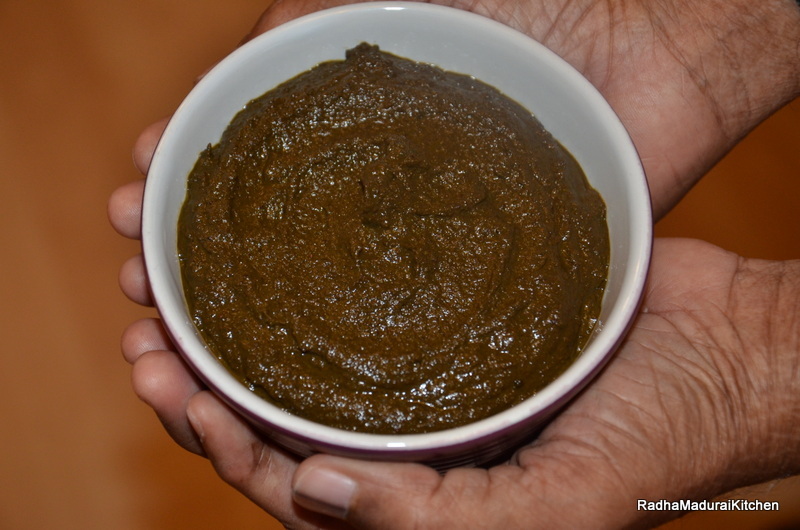 Mix the Urad dal and fenugreek and leave them to soak. Grind Urad dal and fenugreek adding water little at a time till it becomes smooth and fluffy. Keep it aside. Grind the rice slightly until coarse and then add water.now add the urad dal batter and salt to the rice batter and grind till they mix well. The consistency of the batter should be like the normal idly/dosa batter. Remove from the grinder and mix with your fingers to bind them. The warmth from your fingers help the batter to rise. Leave it to ferment for 4 to 5 hours.Mix the batter well before use. Heat oil in a pan and the mustard seeds.After it starts to splutter, add the rest of the items mentioned under the seasoning section and saute for few minutes. Cut the onions and add it to the seasoning.Now add the mixed vegetables and add some salt required for the vegetables and saute for few minutes. Now, add the vegetables to the batter along with coriander and curry leaves. 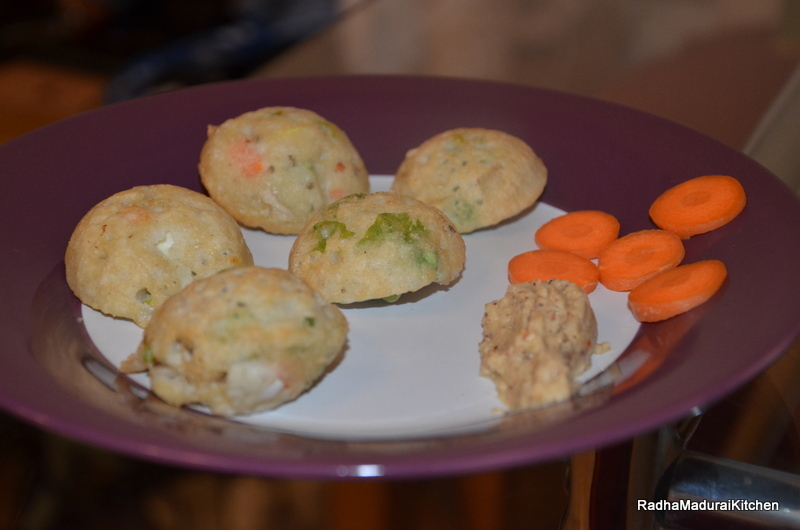 Pour the batter into the kuzhi-paniyaram dish and cook for five minutes. Remove the kuzhi-paniyarams and place them in a plate and serve it hot with some chutney of your choice. This becomes an excellent snack with tea. Kollu, also known as horse gram has innumerable health benefits.Its known to be rich in calcium,Iron and proteins.It is a pulse crop cultivated and consumed predominantly in India.It is also widely consumed in the south-east subcontinent. Channa dal – 2 tbsp. coriander seeds – 2 tbsp. Dry roast the ingredients in a pan.Now grind the roasted ingredients in a mixer and store in an air tight container. 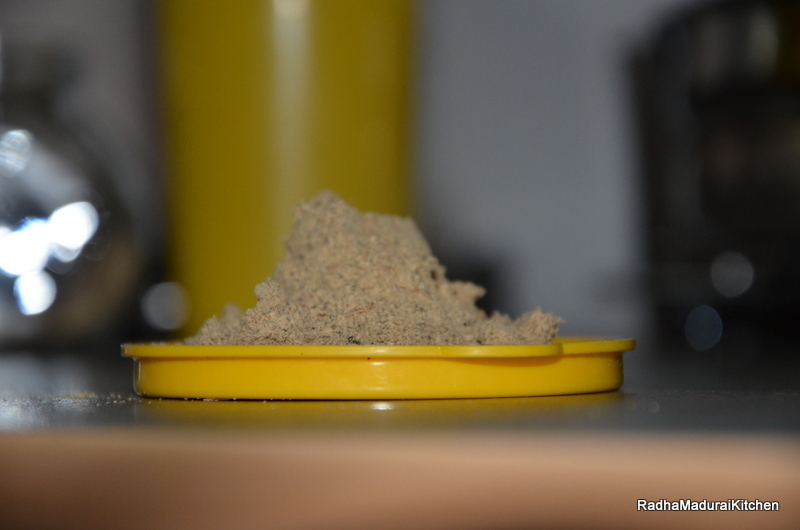 This podi can be mixed with rice and served.This can also be mixed while making Rasam. Tamarind – small gooseberry size. Heat oil in a pan and fry the above ingredients till they become brown.Now add the cabbage and saute till it becomes slightly brown.Switch off the stove add the tamarind and coconut,mix them well and grind them along with salt in a mixer.Serve this with idly or dosa.It also goes well with hot rice.